Leicester have ended Nigel Pearson's controversial reign as manager due to "fundamental differences in perspective" with the club's board of directors. Pearson kept the Foxes in the Barclays Premier League with a superb run of results in the closing weeks of last season but the campaign was marred by clashes with a fan, an opponent and a journalist. In addition, Pearson's son James was one of three players sacked for their part in a sexually-explicit video in which racist language was used during the club's post-season tour of Thailand. The club said in a statement: "The board of directors recognises the success Nigel has helped to bring to Leicester City during his two spells in charge of the club, particularly during the last three and a half years. "However, it has become clear to the club that fundamental differences in perspective exist between us. "Regrettably, the club believes that the working relationship between Nigel and the board is no longer viable. "We trust that the club's supporters will recognise that the owners have always acted with the best interests of the club at heart and with the club's long-term future as their greatest priority." Pearson took charge at the King Power Stadium for the second time in November 2011 and presided over promotion in the 2013-14 season to the top flight. For most of the season it seemed Leicester were destined for a return to the Championship as they were bottom of the Premier League standings at Christmas and still rooted to the foot of the table with nine games remaining. From there, though, they won seven times to catapult themselves up to 14th and safety was already attained by the time they thrashed QPR 5-1 on the final day. Along the way, though, 51-year-old Pearson was fined £10,000 and handed a one-match touchline ban after arguing with a fan during the club's loss to Liverpool in December. Two months later, he put his hands around Crystal Palace midfielder James McArthur's neck while the player was on the ground but Pearson later accused Match of the Day pundits of "making a mountain out a molehill". In March, he bizarrely called a reporter an "ostrich" after being irked by a line of questioning, before issuing an apology the following day. The decision was greeted with dismay by former Leicester striker Gary Lineker, who referenced rumours of his sacking in February which proved untrue. 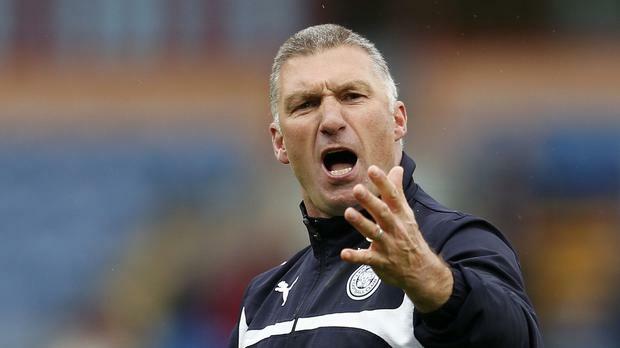 He wrote on Twitter: "Leicester City have sacked Nigel Pearson! Really? WTF! Could you kindly reinstate him like the last time you fired him? "Getting LCFC promoted and the greatest escape ever, Pearson is sacked? Are the folk running football stupid? Yes." Assistant managers Craig Shakespeare and Steve Walsh will take temporary charge of the club until Pearson's successor is appointed.